The latest research is showing that consuming 340ml of sugary drink a day (which equates to less than one can) increases your risk of type 2 diabetes by 22% when compared to drinking one can a month or less. Sugar sweetened beverages are high in kilojoules, leading to weight gain and obesity. Obesity has been shown to be a leading risk factor for type 2 diabetes, cardiovascular disease and some cancers (including endometrial, oesophageal, renal, gallbladder, bowel and postmenopausal breast cancers). Young Australians are the highest consumers of sugar sweetened beverages, and sugar sweetened soft drinks in particular. The 2007 Australian National Children’s Nutrition and Physical Activity Survey found that 47% of children (2 to 16 years of age) consumed sugar sweetened beverages (including energy drinks) every day. The level of consumption peaked among 14 to 18 year-olds, with 51% of males and 38% of females in this age group consuming a soft drink on the day prior to interview. In the 12 months to October 2012, Australians bought 1.28 billion litres of carbonated/still drinks with sugar, with regular cola drinks being the most popular (447 million litres). American estimates show that consuming one can of soft drink per day could lead to a 6.75kg weight gain in one year (if these calories are added to a typical US diet and not offset by reduction in other energy sources). 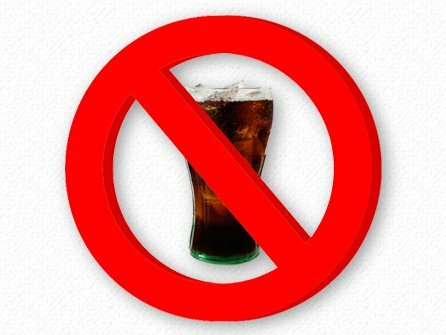 Many drinks contain acid that harms your teeth, including regular and diet soft drinks, sports/energy drinks and fruit juices. Acid weakens tooth enamel which can lead to tooth decay. Tooth decay is the most prevalent disease in Australia. Sugar sweetened beverages produce more acid when the sugar combines with bacteria in the mouth. Try drinking natural spring water instead – it has no acid, no sugar, no kilojoules, as well as many other added health benefits. Click here to find out more. From just $9 a month you can have natural spring water in your home with one of Aussie Natural’s water coolers! And thanks to our spring special if you order one before the 30th of November then you’ll receive over $50 in free bonuses! Click here to find out more. Contact Aussie Natural today to get healthy this summer!